I thought that it would be a good idea to have an extra bed in the house, so that I could accommodate a couple of guests that might be invited or that were just stranded overnight. 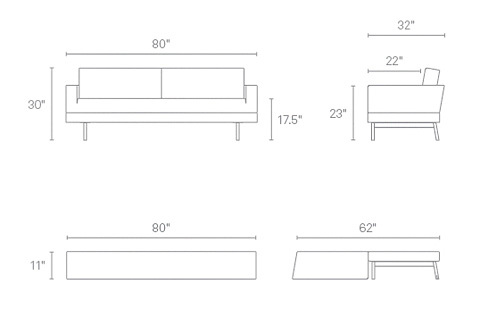 I was particularly concerned that the sofa would not look too much like a ‘put–you-up’ and that it would be comfortable for sitting or sleeping. It also had to be a simple conversion process that did not require disassembling the whole unit in order to make the bed. Finally, it was absolutely imperative to make dual use of the spare room that I had available for this idea. When I found the Blue Dot One Night Stand put you up sofa/bed I was really surprised to find that there exists a practical, comfortable and great looking piece of furniture to do the job. 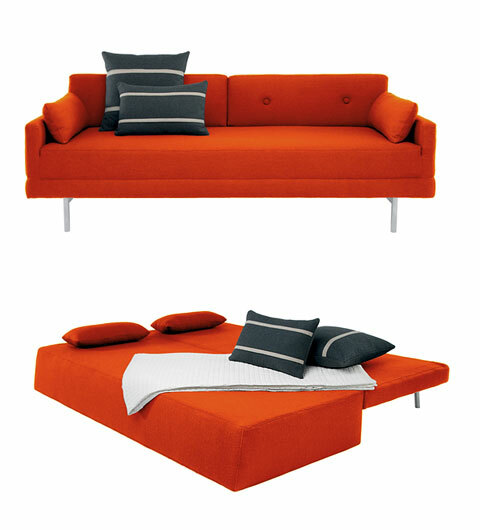 The sleek, modern design of this sofa, complements any room setting and then easily converts into a queen size bed. 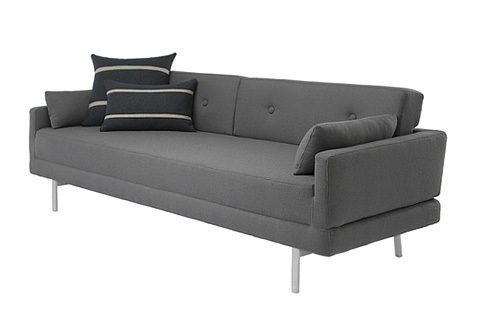 The upholstery is available in grey or rust wool blend and the legs are finished in brushed stainless steel. It is very easy to convert the sofa into a luxurious bed in just a couple of seconds by removing the back cushions and then flipping the seat forward. Voila, an instant queen sized mattress, very comfortable and certainly more than large enough for two people. Striped pillows are available at an extra cost and really add a slick look to what is already a very smart piece of furniture. hi, what is the price of this sofa and what are the available colors?? How much time for the delivery pls? ?